Can plastics ever be suitable for green burial? What if you bury your dead father naturally in a shroud, shallow enough so the soil can use his nutrients in a lovely forest setting. He's in a renewable plot and decades later when the cemetery opens the grave to put someone new in, there's nothing left but nice clean bones--and a plastic ziplock bag. Turns out your father was autopsied and his organs placed in that bag so they could be sewn up with the body. Unlikely? This circumstance came up at the National Home Funeral Alliance conference in September in a panel discussion with various experts including a medical examiner and mortuary board member on how to interface with the organizations and authorities that handle death. A suggestion was made that in this situation morticians use compostable or plant-based plastic instead of a standard ziplock bag. My hand shot up and I voiced my protest. When I create an entry for a green burial cemetery in The Natural Burial Cemetery Guide, I indicate that any burial container must be made of biodegradable material. According to Merriam-Webster, a biodegradable material must be "capable of being broken down especially into innocuous products by the action of living things (such as microorganisms)." For something to biodegrade it needs to be food for things like bacteria and bugs. Living organisms that die (like humans) are food for other living organisms, and so are biodegradable. But manufactured substances are not automatically biodegradable. Plastic is a classic case in point. Though plastic is made from petroleum, a carbon-based substance which was formed from the bodies of dead organisms millions of years ago, it is not attractive as food and so will not biodegrade. If left in the air or in the sea it will eventually mechanically degrade into smaller and smaller pieces, but these won't become organic bits that are useful to other life. But what about plant-based plastic? 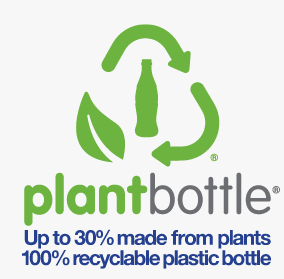 You may have picked up a drinks cup or bought a ketchup bottle or water bottle made of plant-based plastic. This simply means that the carbon compounds used in manufacturing come from plant material such as corn instead of petroleum. Environmentally this may be a better choice than pulling more oil out of the ground to make new plastics, and theoretically when it does break down it's not toxic. But it doesn't guarantee the biodegradability of the plastic, which is determined by the resin used and how readily the chemical bonds break down. Because plastics are often used as packaging, anything biodegradable must by definition not decompose under ordinary circumstances. Anything used to carry food or other consumer items, such as plastic bags and boxes, is particularly difficult as it would be mayhem if carrier bags degraded in sunlight or over time and spilled groceries unpredictably. Vegetable-derived plastics like UrthPact's must be composted in a commercial compost system where higher temperatures and greater concentrations of bacteria are used. They will not break down easily even in a backyard compost pile. Compost piles also need just the right amount of air and water to work, and size matters--the larger the pile the more likely it is to work. Commercial composters recreate the conditions under which these plastics are designed to biodegrade. But humans are not buried in compost piles, they are buried in soil. The same agents that act to decompose a human body underground also act on anything buried with the body. Initial decomposition in an unembalmed body is carried on by microorganisms in the body itself, which are then joined by organisms in the soil. A bag sewn into a body would have to be attractive to either or both types of organisms. It seems cruel to deny natural burial to someone because they've been autopsied. So what's the solution if we want to be true to the principles of green burial but still reasonable? It makes sense to use a bag made of material that's already okay to bury--paper, or cotton, wool. Perhaps to be waterproof or even water resistant such a bag could be coated with something like beeswax, which though not easily biodegradable is at least "natural." The product would have to be readily available to coroners and morticians, but I think if you make it easy for someone they generally will do it. The Green Burial Council states "All GBC approved caskets, urns and shrouds must be constructed from plant-derived, recycled plant-derived, natural, animal, or unfired earthen materials, including shell, liner, and adornments." I asked for clarification, and the GBC agreed with the statement that "While the Green Burial Council is taking into consideration the use of new plastics, it will always stay true to its environmental aims and do so only after much consideration and research." You really don't want to bury something that's going to last longer than your remains. To paraphrase the bible, naked we came into this world and naked we shall return. Newer PostTaking perpetuity out of grave rights.